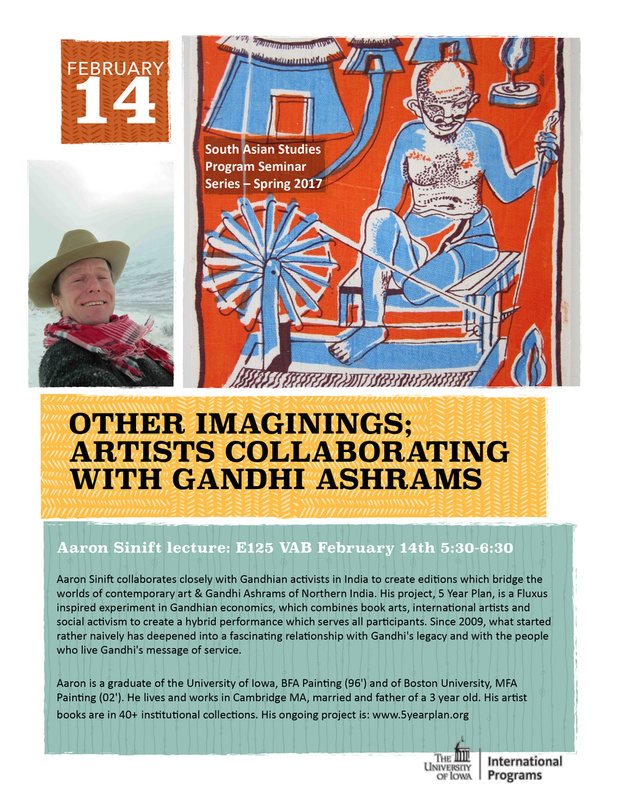 Aaron Sinift collaborates closely with Gandhian activists in India to create editions which bridge the worlds of contemporary art & Gandhi Ashrams of Northern India. His project, 5 Year Plan, is a Fluxus inspired experiment in Gandhian economics, which combines book arts, international artists and social activism to create a hybrid performance which serves all participants. Since 2009, what started rather naively has deepened into a fascinating relationship with Gandhi's legacy and with the people who live Gandhi's message of service.